Barrie YMCA Recreational Facility - Strasman Architects Inc. The Barrie YMCA is part of a nine acre development on the shore of Kempenfelt Bay, just south of the city’s downtown core. 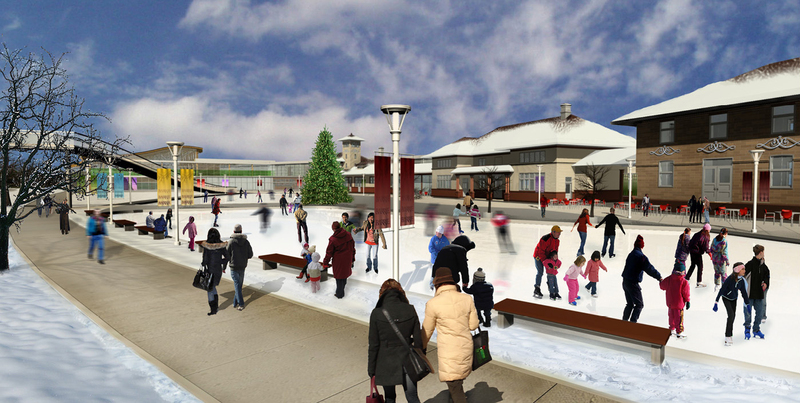 Strasman Architects Inc., in association with McKnight Charron Laurin Inc., master planned the nine acre site which includes the YMCA recreation facility, a GO Transit station, the Barrie Transit terminal, Allandale Village, an outdoor skating rink, a 100,000 sq.ft. mixed use development, and the restored heritage Allandale main station and railway museum. The 70,000 sq.ft. 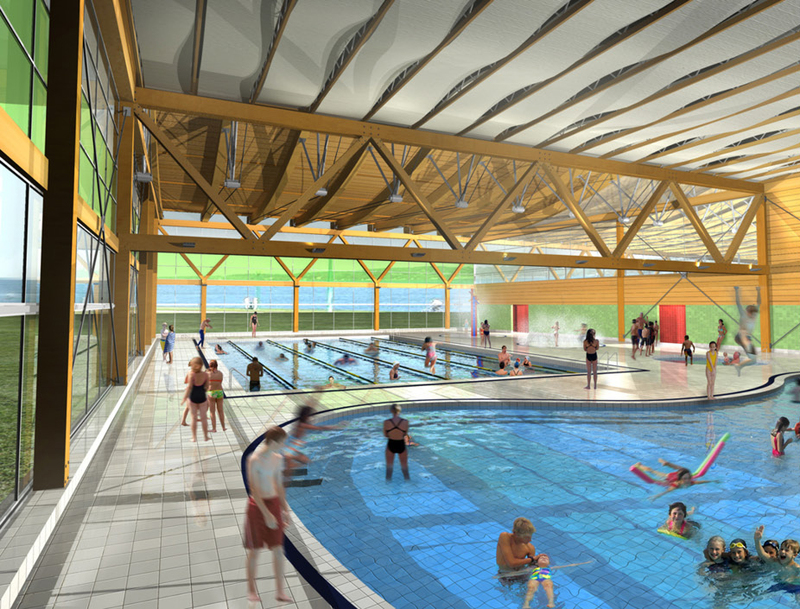 YMCA recreation facility contains a gymnasium, swimming pools, a fitness centre, activity rooms, a child-minding centre, and an employment opportunity centre. 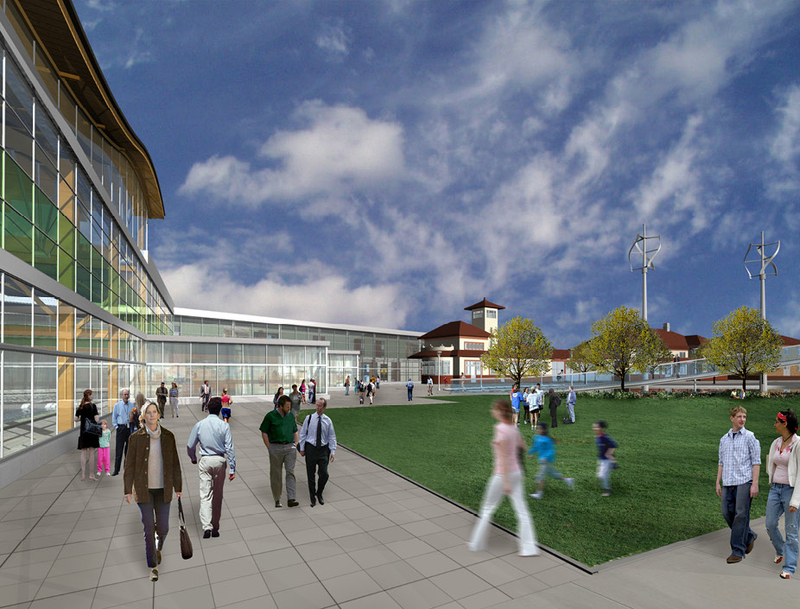 The building will be green, sustainable and healthy. Strasman Architects Inc. is proposing the use of a geothermal heat source and solar energy. 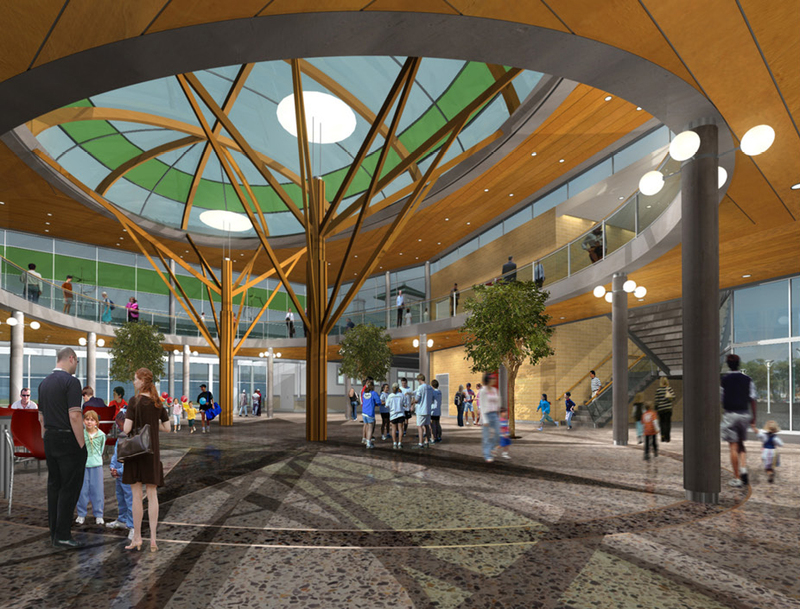 The main structure for the YMCA will be comprised of glu-laminated columns and trusses.